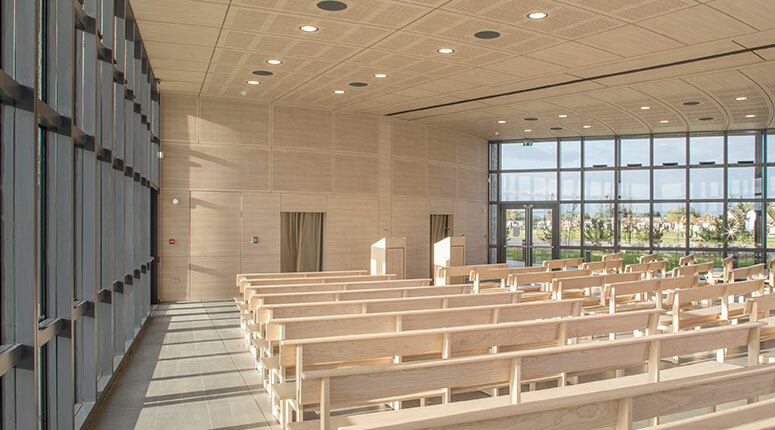 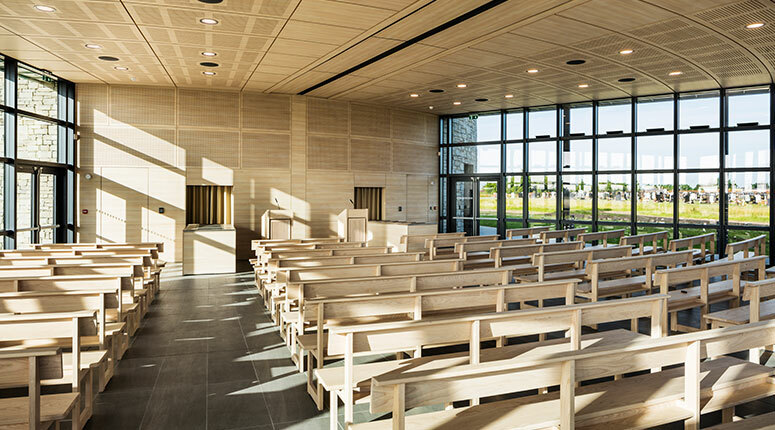 Dardistown Crematorium is Ireland’s newest state-of-the-art cremation facility, providing a dignified alternative to burial and catering for up to 300 mourners. 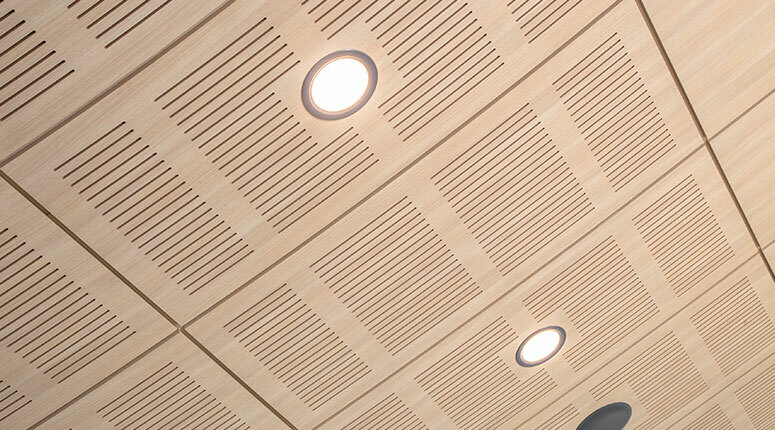 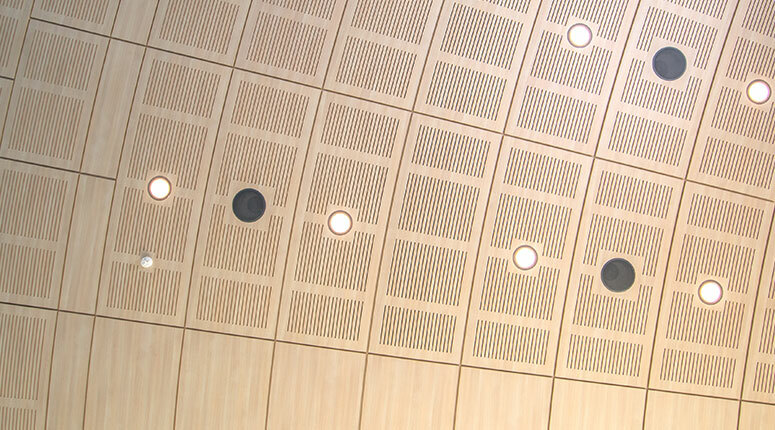 Woodfit worked closely with the architects and acoustic consultant to deliver acoustic and aesthetic properties befitting this wonderfully designed space. 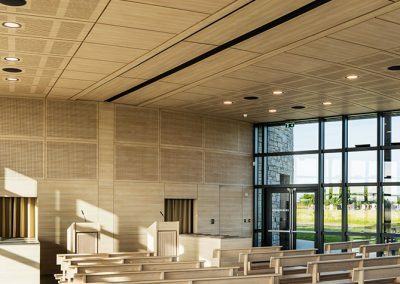 The white oak formica panels are custom designed and manufactured to follow the curvature of the building for a warm, contemporary look and feel. 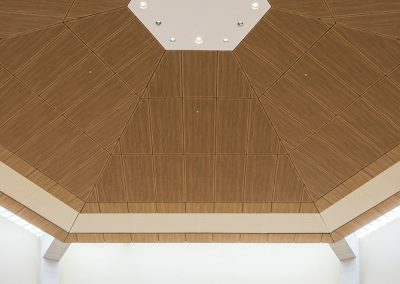 Detailing included custom cut outs for lights and speakers as well as flat panelling to compliment and balance the acoustic requirements. 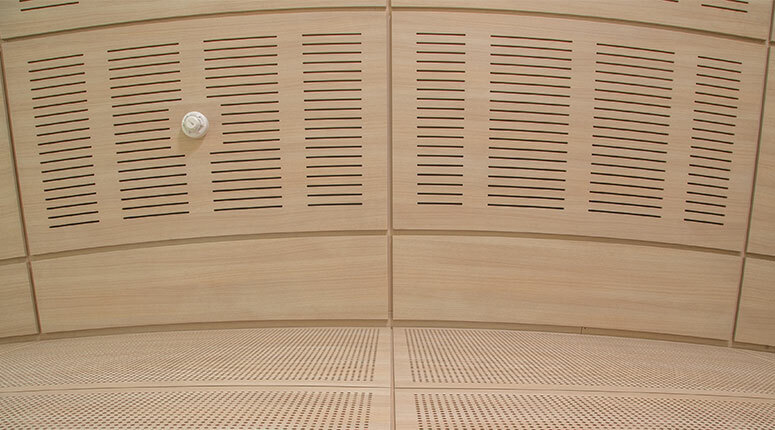 Perforated and slotted panel styles were selected to help control the reverb time within the space, and post testing indicated that the desired RT60 of 1 second was achieved. 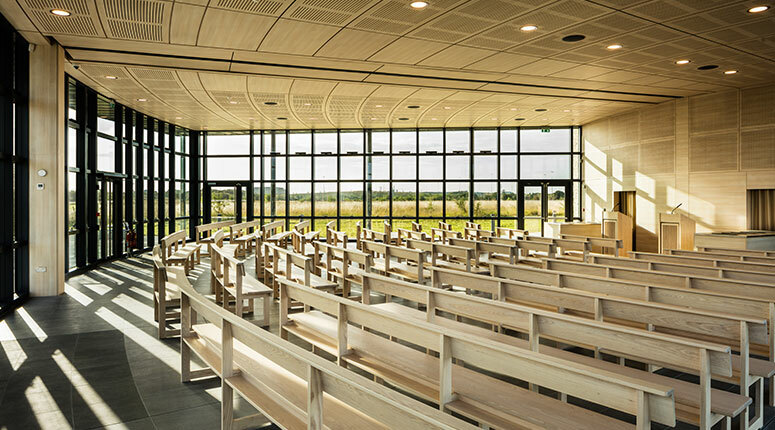 “The new crematorium will be a peaceful and tranquil environment for people to visit and pay their respects to their loved ones”.